In 1522 the Ottoman Turks conquered the city after a second long siege. The Knights were allowed to sail off to Sicily and ultimately to Malta and Gozo. Thus, the Ottomans secured control of the Eastern Mediterranean. 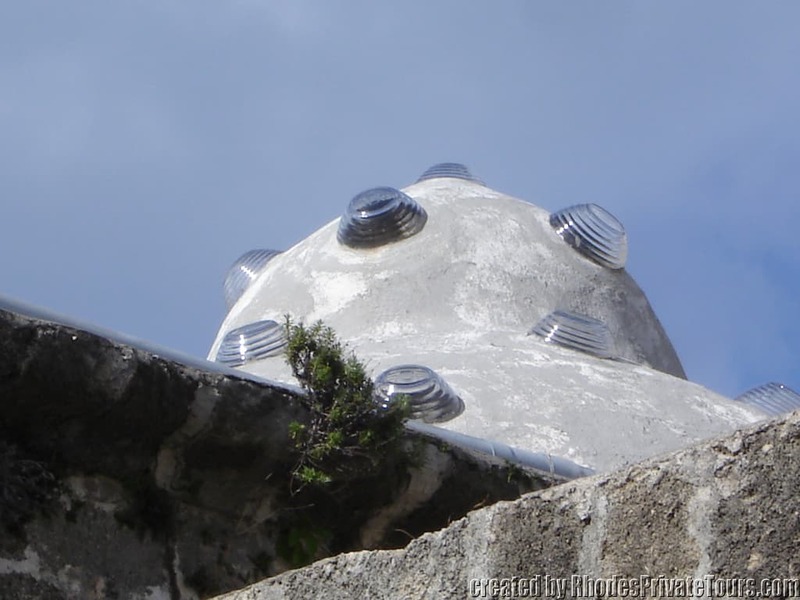 Their influence was expressed in the construction of new mosques, public baths and mansions. 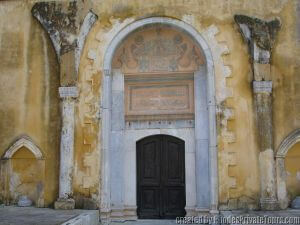 The entrance of the Turkish bath Hammam in Arionos square. Built in the 16th century. After the establishment of their sovereignty on the island, the Ottoman Turks converted most of the churches into mosques and transformed the major houses into private mansions or public buildings. 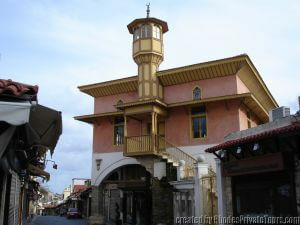 The entrance of Mustafa Pasha Mosque (in Arionos square). 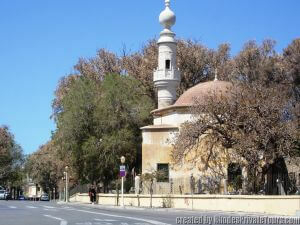 The Suleiman Mosque built on the site of an earlier Church of the Apostles, it was constructed in honor of the Sultan after his conquest of Rhodes in 1522 and rebuilt in 1808. The Knights period facades with their sculptured decorations, the arched gates and hewn stone walls were enriched with the random character of the Ottoman architecture adapted to the local climate and culture. 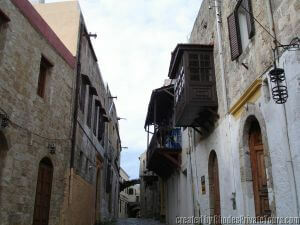 In this process most of the architectural features of the existing buildings were preserved. Wooden balconies (sachnisi) of the Turkish style buildings. The Murat Reis Mosque and cemetery. The most characteristic additions were the baths, and the enclosed wooden balconies �n the facades over the narrow streets. The result was a mixture of oriental architecture with imposing western architectural remains and more recent buildings, which were characteristic of the local architecture of the time. Mehmet Aga Mosque in Socrates Street. 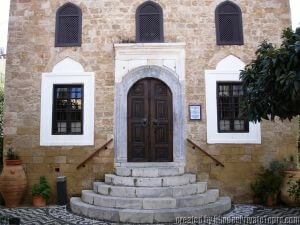 The Muslim Library was founded in 1793 by Hafiz Ahmet Aga is situated opposite the mosque of Suleiman. The building is well preserved, with a small garden. 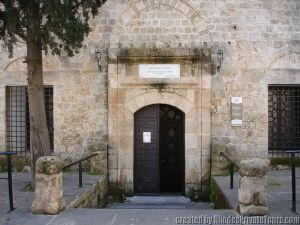 It houses an interesting collection of rare manuscripts and scrolls written in Turkish, Arabian and Persian, the most significant being the one that narrates the siege and conquer of the island by the Turks in 1522. Only the front room can be visited.